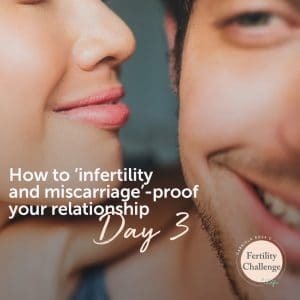 Your relationship is critical to your fertility success and it needs to be a priority. Family is one of my greatest values so it is no surprise I have found myself helping to create them for the last 2 decades. A solid and robust family environment begins even before a baby enters the picture, it all begins with a solid tribe or village. If you are courageously embarking on the path of solo reproduction, undoubtedly you will have people in your life that mean a lot to you, to whom you can apply todays learning. For everyone else whether in a marriage, union, whatever the way you are building your family…your relationship matters. One of the greatest relationship quotes I have read, by relationship researcher Dr John Gottman says: Happy couples understand that helping each other realise their dreams is one of the goals of marriage. I’m sure you do too, yet the fertility journey can make or break relationships and so today I’m here to help you discover ways and means to make it work, for you both.